Marie Carrière, Curtis Gillespie, Jason Purcell, Lynn Coady, Ying Chen, Michael Crummey, Jennifer Delisle, Kit Dobson, Caterina Edwards, Marina Endicott, Lawrence Hill, Daniel Laforest, Alice Major, Don Perkins, Julie Rodgers, Joseph Pivato, Eden Robinson,Gregory Scofield, Winfried Siemerling, Pamela Sing, Maïté Snauwaert, Kim Thúy and Angela Van Essen. Ten years, ten authors, ten critics. 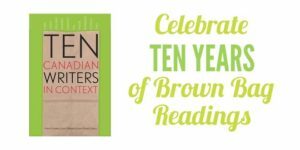 The Canadian Literature Centre/Centre de littérature canadienne reaches into its ten-year archive of Brown Bag Lunch readings to sample some of the most diverse and powerful voices in contemporary Canadian literature. This anthology offers readers samples from some of Canada’s most exciting writers of fiction, nonfiction, and poetry. Each selection is introduced by a brief essay, serving as a point of entry into the writer’s work. From the east coast of Newfoundland to Kitamaat territory on British Columbia’s central coast, there is a story for everyone, from everywhere. True to Canada’s multilingual and multicultural heritage, these ten writers come from diverse ethnicities and backgrounds, and work in multiple languages, including English, French, and Cree. Contributors: Albert Braz, Samantha Cook, Jennifer Delisle, Lise Gaboury-Diallo, Smaro Kamboureli, Janne Korkka, André Lamontagne, Margaret Mackey, Sherry Simon, Pamela Sing, Camille van der Marel, and Erin Wunker. Buttressed by a wealth of new, collaborative research methods and technologies, the contributors of this collection examine women’s writing in Canada, past and present, with 11 essays in English and 5 in French. 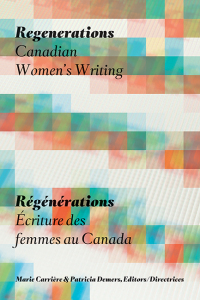 Regenerations was born out of the inaugural conference of the Canadian Writing Research Collaboratory held at the Canadian Literature Centre, University of Alberta, and exemplifies the progress of radically interdisciplinary research, collaboration, and publishing efforts surrounding Canadian women’s writing. 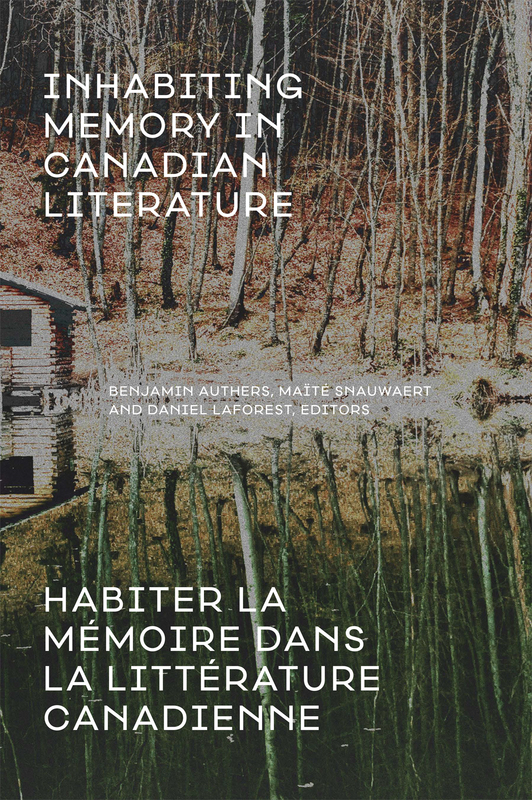 Researchers and students interested in Canadian literature, Québec literature, women’s writing, literary history, feminist theory, and digital humanities scholarship should definitely acquaint themselves with this work. Contributors: Nicole Brossard, Susan Brown, Marie Carrière, Patricia Demers, Louise Dennys, Cinda Gault, Lucie Hotte, Dean Irvine, Gary Kelly, Shauna Lancit, Mary McDonald-Rissanen, Lindsey McMaster, Mary-Jo Romaniuk, Julie Roy, Susan Rudy, Chantal Savoie, Maïté Snauwaert, Rosemary Sullivan, and Sheena Wilson.